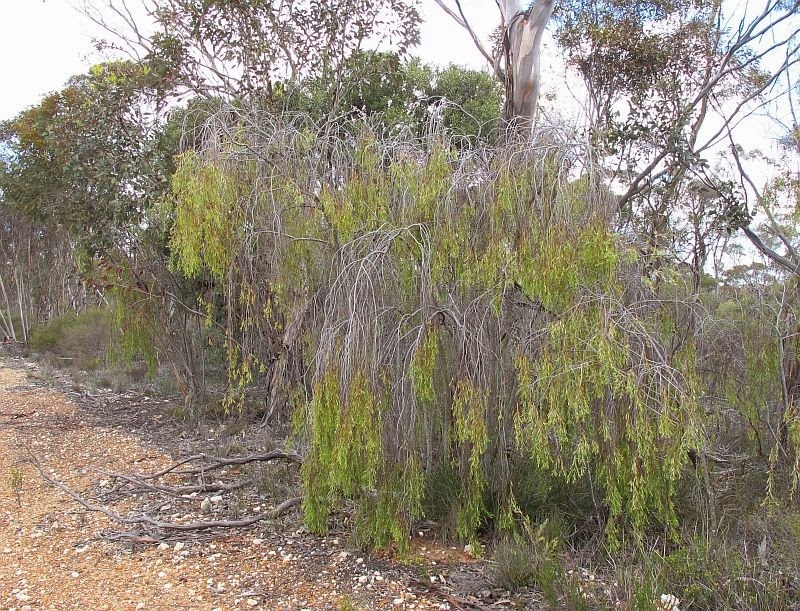 This species is common across southern Australia although locally it seldom occurs in large colonies, but as scattered individuals or small groups, the seed having been transported via the droppings of emus and deposited randomly as they travel about. Like the other four Australian Quandong species, they are root parasites, which is where they obtain most of their nutritional requirements. 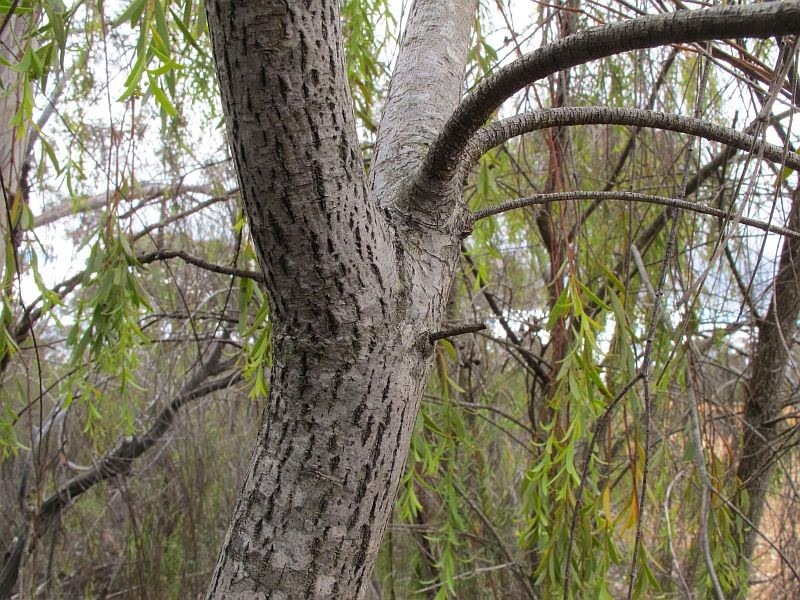 Santalum murrayanum occurs roughly south of a line from Kalgoorlie (WA) to Bourke (NSW), with most collections from southern SA and northern Victoria. Over its range it is found in a number of habitats, but locally shows a marked preference for heavy sandy loams over crumbly limestone, or occasionally on gypsum mounds around saltlakes. 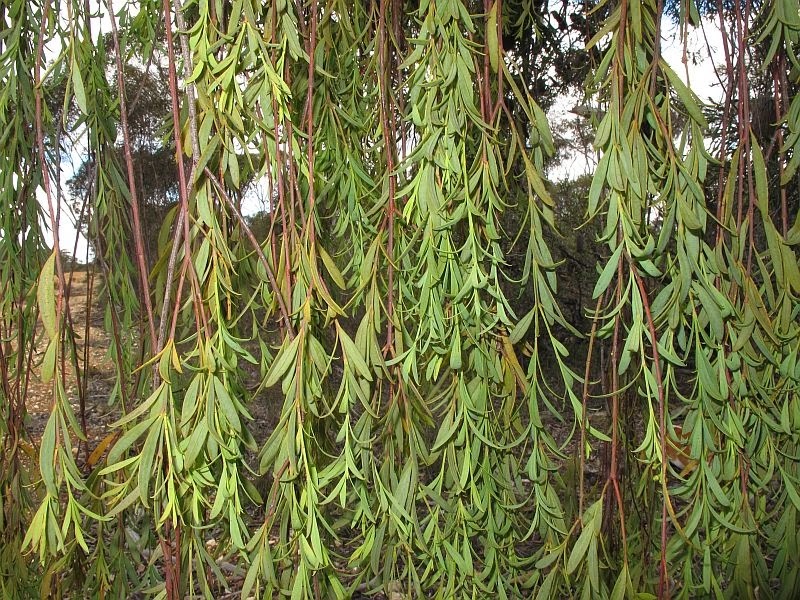 The Bitter Quandong is a handsome weeping tree to 5 metres (16’) in height (juveniles can be shrubby), with attractive hanging soft veil like foliage. 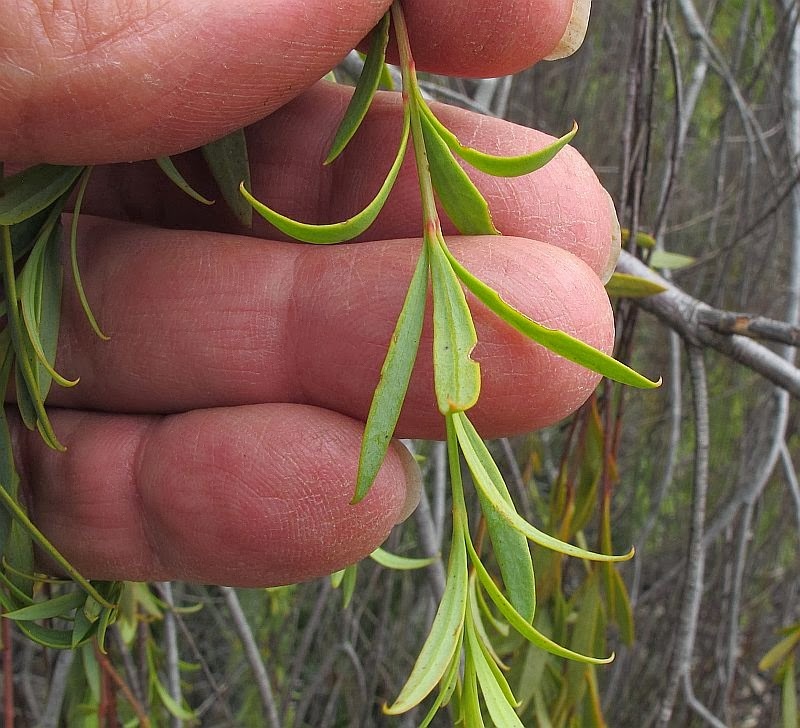 The leaves have a hooked tip and can be found growing in pairs or in whorls of three on the same plant, the latter being a good identification feature. 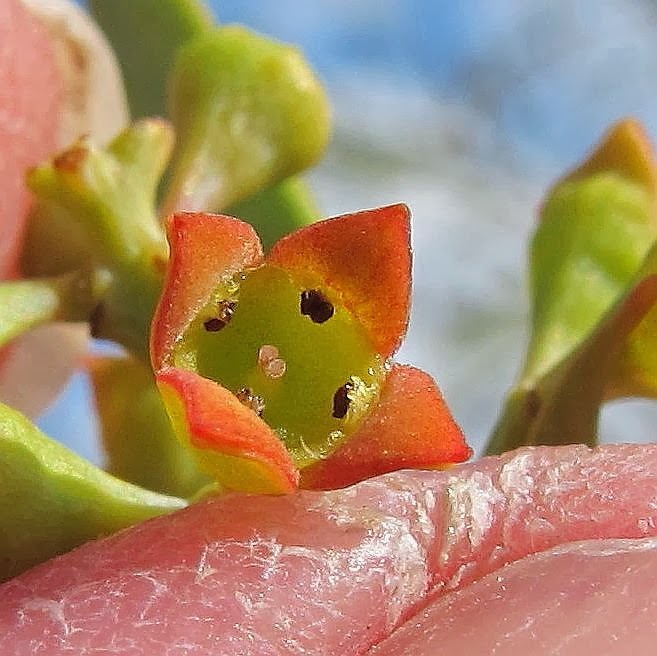 The fruits (2 cm or nearly 1” diameter) are of similar size to the Sweet Quandong, Santalum acuminatum, but mature to a green/yellow or a dull mustard/orange colour, instead of shining bright red. 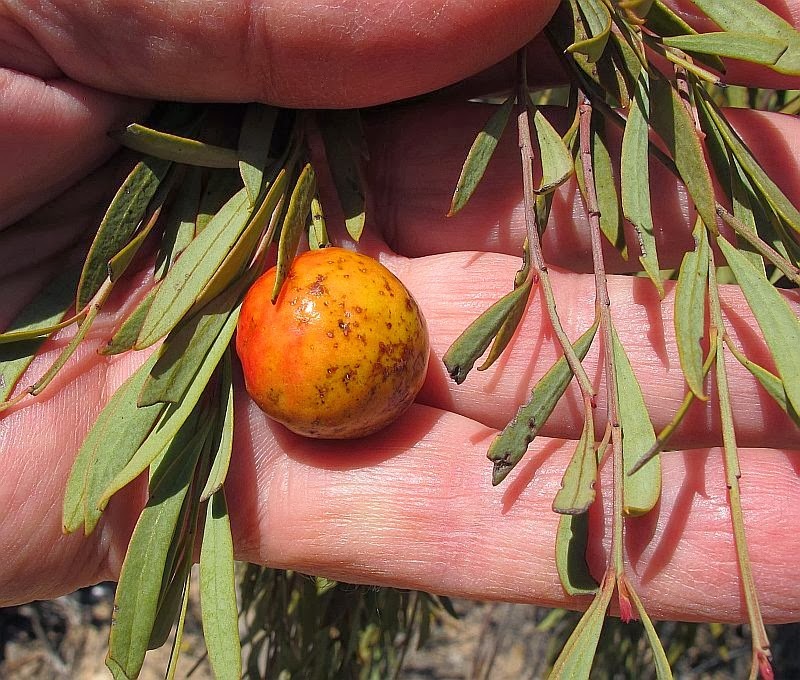 Also the epicarp (seed) is less pitted than the Sweet Quandong, although this can be quite variable and is not so good for identification as the foliage differences. 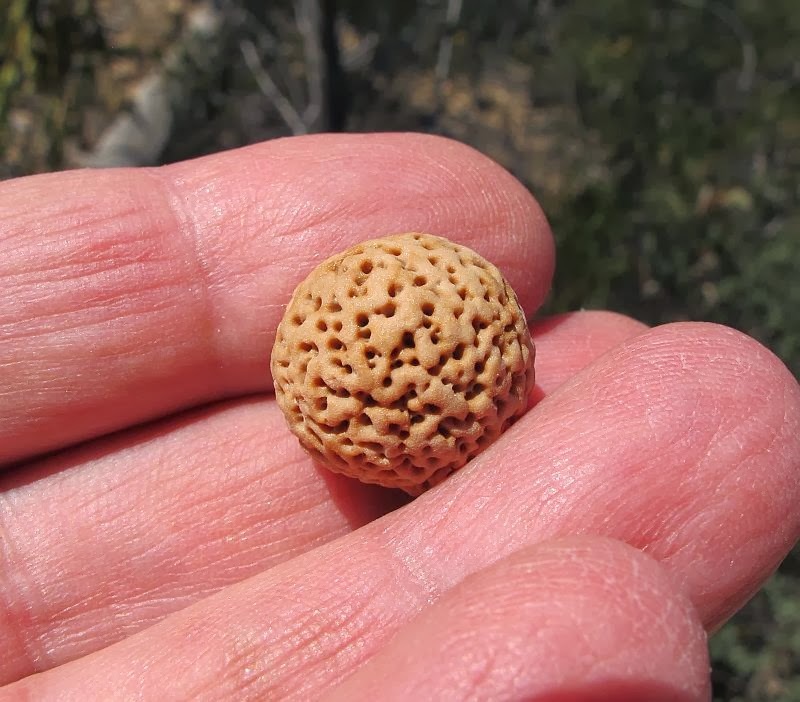 As the common name of Bitter Quandong suggests, it is not suitable for human consumption, although Aboriginals ate the seed, which they probably roasted over a fire. 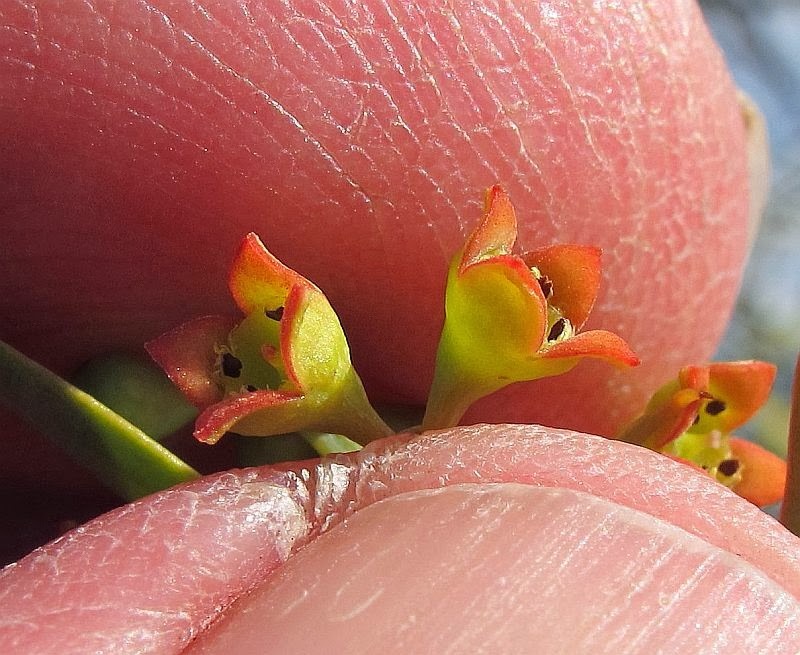 The initial green flowers mature to a yellow/green exterior and at least locally, to internal orange petal like (perianth) lobes. 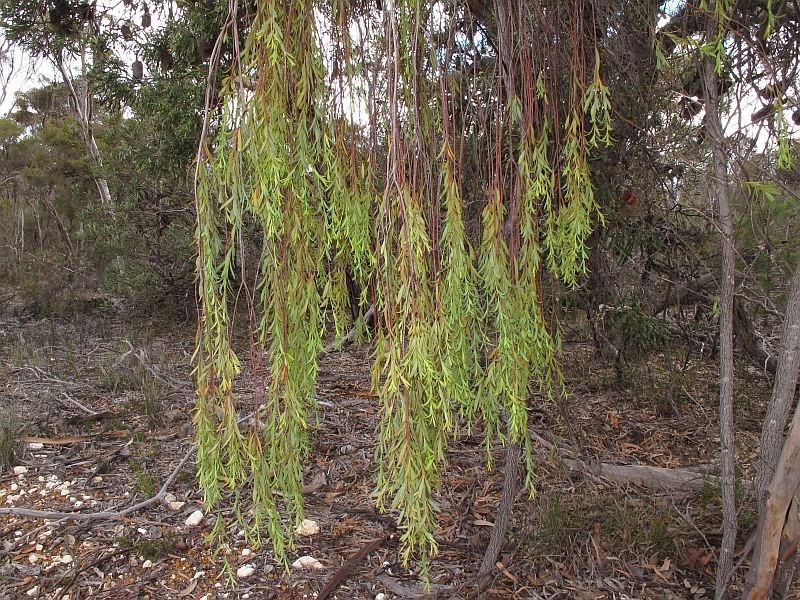 Flowering in WA can occur anytime from October to January. 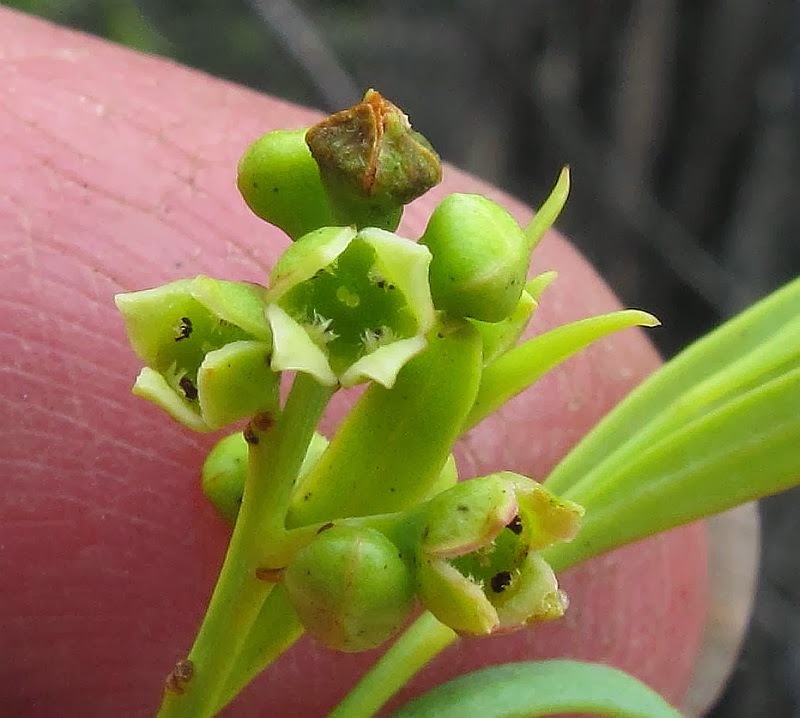 The Santalum genus belongs to the Santalaceae family, along with Exocarpos and other root parasites.